The opinions reflected herein are mine and mine alone. As we all have heard by now our favorite “Evil Twin” has decided to part ways with Black Label Society. While we are all saddened to hear this news we should also celebrate Nick and his time in the band. 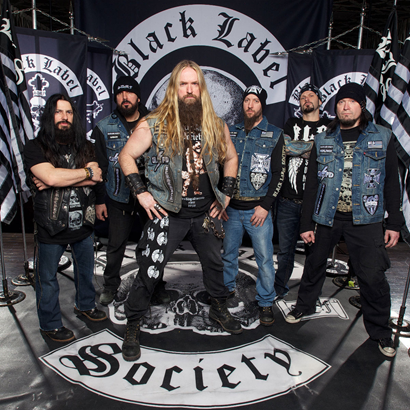 It has always been my belief that Black Label Society is bigger than its members. We have seen members come and go and yet BLS remains strong. SDMF is our credo and we should always try to live to it. I applaud Zakk for giving musicians such as Phil Ondich, Steve Gibb, Craig Nunemacher, Mike Inez, Robert Trujillo, James LoMenzo, Will Hunt, Mike Froedge, Johnny Kelly, Jeff Fabb their time with BLS. We will get through this change as we always have. Nick will be ok and we will get new music to know and love from him and his future projects. Best wishes Nick We love you Beyond Forever. STRENGTH DETERMINATION MERCILESS FOREVER – is it in you? This entry was posted in Artist, Bassists, Classic Metal, Classic Rock, Drummer, Guitarists, Heavy metal, Internet Radio, Metal, Music, Rock, Rock N' Roll, RockStar, Sleaze, Surrealist, Tattoos, Vocalist, Whiskey Metal, Wornstar Clothing and tagged 80's, Black Label Society, Bleach Bang, Bleach Bangs, Bleach Bangs Radio, BLS, Chad Szeliga, Charlie Owens, Classic Rock, Craig Nunemacher, Evil Twin, Hard Rock, Heavy Metal, James Lomenzo, Jeff Fabb, John "JD" DeServio, Johnny Kelly, Metal, Mike Froedge, Mike Inez, Music, Nick Catanese, Phil Ondich, Randy Norris, Robert Trujillo, Rock, Rock N' Roll, Rock Star, RockStar, Steve Gibb, the Hellion, the Hellion Rocks, Will Hunt, Zakk Wylde. Bookmark the permalink.